Android is a great OS, but what if you wanted to try it before you buy. Well, today I will be showing you how to run Andriod OS, and Android apps, on your PC. This not only can it be a trial if you like Android or not, but it can also be a fun way to bring Android with you from your phone/tablet to also your PC. Enjoy your favorite games on your PC without having to reboot, or go through a complicated process to run it. This new program is simple and easy to use. When you first run the program, it installs like any other application. When it finishes, you will see a new gadget on your sidebar. The gadget is basically your Android OS. When you click the gadget, it opens up all the installed apps. The gadget sits on your desktop, but when you dont need it it doesn't affect your computing. When you feel like playing a game, you click the gadget and select what you want to play. The apps run very well also. With a processor as powerful as a PC's, the apps have no problem running at maximum speed and functionality. The Bluestacks Player has many other impressive features. Bluestacks allow you to transfer your apps from your phone or Android running device to your Bluestacks Player on your PC. This feature can be enabled using the Bluestacks Cloud Connect. 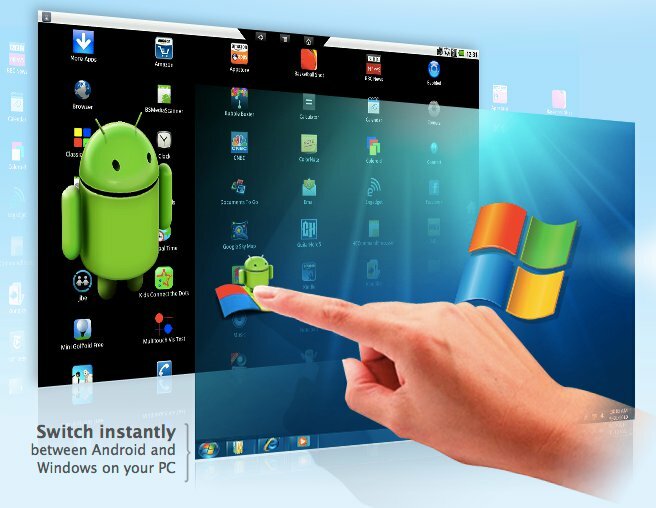 All your Android apps will be running on your PC in no time withgreat quality and control. Bring your Android with you on your laptop PC or netbook. Run games, utilities, and social apps with resposiveness and speed. The UI of the Bluestacks player is clean and cluter free. Its simple to use and most important, its FREE. This program I highly recoment everyone to try out. Its a great way to experience Android in a new way and very creative way. I would have to say Bluestacks App Player is a PCbasics Favorite. I rate it 5 stars out of 5 for functionality, clean UI, and best of all, its FREE.